Operated from 24 July 2016. 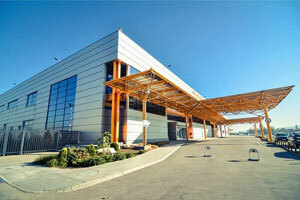 Neither Cluj International Airport nor any other nearby airport provides direct flights to the Dutch capital. 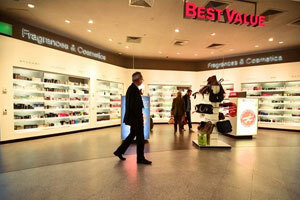 Therefore, a route to Amsterdam can respond to the significant demand for a transit hub. 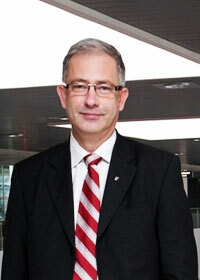 There is an important demand for a transit hub such as Athens. In addition, the Greek capital also accommodates a significant Romanian community and provides demand for tourist services. Operated from 3 July 2016. Operated from 23 July 2016. Operated from 22 July. Blue Air will also offer flights to Bucharest starting on 3 June 2016. There is significant tourist demand in this region. Operated from 22 July 2016. Operated by Blue Air from 4 June 2016. The number of charter flights from Cluj International Airport registered an increase of 21% in 2015, when compared to 2014 figures. 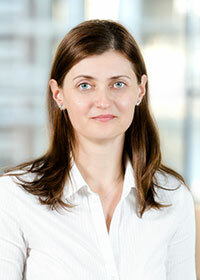 Therefore, there is an important demand for other tourist destinations, including Dubrovnik. Currently, the airport doesn’t feature any direct link to Croatia. Operated by Blue Air from 1 October. Turkey and particularly Istanbul are one of the most popular destinations for Romanians. Besides the important touristic demand, Istanbul can act as a transit hub for passengers departing from Cluj International Airport. Operated by Blue Air from 3 June 2016. There is an important Romanian community based in Lyon region. There is a significant Romanian community and touristic demand to Marseille. Italy is the most preferred country market for passengers travelling from Cluj International Airport and no airline operates direct flights to Napoli. Moreover, there is an important Romanian community based in this region. There is significant demand for a transit hub for traffic to South America. Operated by Blue Air from 1 October 2016. Torino caters for an important Romanian community. Operated from 30 March 2016. Cluj International Airport serves an expanded catchment area of more than 3.5 million people, within 170 kilometres from the airport. One million people can reach the airport within one-hour driving time. 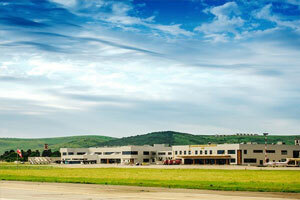 Due to its size and location, Cluj International Airport is classified as the main gateway to Transylvania. Cluj International Airport is the second biggest Romanian airport (behind Bucharest) in terms of passenger traffic in 2017. A total of 2,690,000 million passengers travelled through Cluj International Airport in 2017, posting a 43% increase over 2016 figures. In numbers, this has exceeded the 2016′s record high by 800,000 passengers, which underlines the fact that the airport’s catchment area is both stable and reliable, with a continuing increase in demand for air travel. The airport features modern terminal buildings and a new runway, completed in recent years, as part of a strategic development plan. 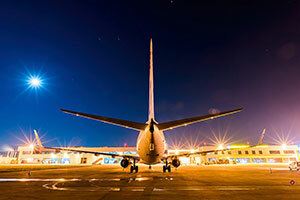 The airport infrastructure serves with high efficiency passengers and airlines alike, and can adequately serve current and future airport demands, allowing future expansions. The passenger terminals include modern equipment, such as pre-board screening and beverage/retail options, to provide passengers with a seamless and memorable experience. Located 10 kilometres east from Cluj-Napoca’s city centre, the airport stands nearby the most important attractions of the city; also know as “The heart of Transylvania.” Both Cluj County and Cluj-Napoca showcase one of the most dynamic economies in Romania, as well as the largest centre for innovation and business opportunities in Transylvania. Cluj-Napoca has a population of 324,576 inhabitants (according to 2011 census) and is ranked as Romania’s second most populous city, while its metropolitan area is estimated at 411,379 inhabitants. 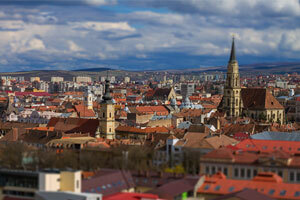 The population of Cluj County is around 700,000 inhabitants. 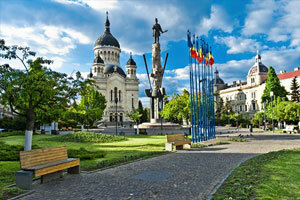 Cluj-Napoca was ranked #2 by Forbes magazine in the top Best Cities for Business in Romania. The top was developed based on ten criteria, each of which had a weight of 10% in its final determination: regional GDP, GDP per capita, average net salary, unemployment, foreign investments during 1991-2014, road infrastructure, railway infrastructure, number of active enterprises, number of homes and educational facilities impacting the labour market (vocational schools, universities). Transylvania was ranked #1 in the Lonely Planet traveling guide “Best in Travel 2016″, this making it the most attractive region of the world in 2016. The development of the city’s IT activity is likely to influence and consolidate its position as the “economic capital of Transylvania”, as there are 20,000 IT specialists living in the city and over 100 important IT companies. 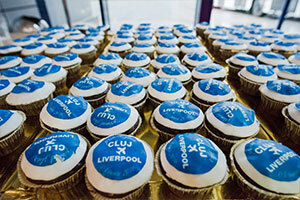 This is why Cluj is widely known among IT specialists as the “Silicon Valley of Europe”. 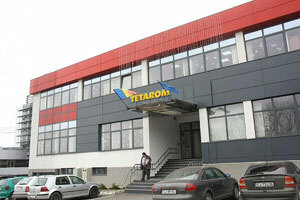 Cluj-Napoca’s Tetarom Industrial Park attracted in the past years some of the most strategic investments in Romania and is providing facilities as well as services for important multinational companies. 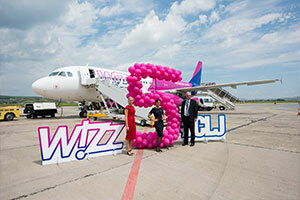 A total of seven airlines will be operating from Cluj International Airport in 2017, with Wizz Air being the biggest carrier in terms of weekly seat capacity, followed by Lufthansa and TAROM. 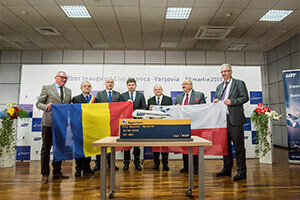 In fact, the flag carriers of Poland and the Republic of Turkey – LOT Polish Airlines and Turkish Airlines are the latest additions, as the airlines started operations in 2016, significantly increasing the possibilities for connection. Blue Air also added new domestic and international flights to the airport route network in 2016. New scheduled routes or additional scheduled frequencies receive an attractive incentive scheme to support start-ups. 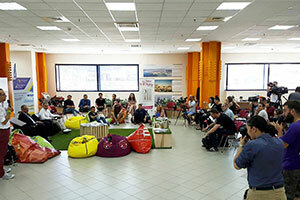 During 2016, Cluj International Airport was the project partner of the 'Cluj-Napoca 2021 - European Capital of Culture' project, aimed to support and develop the cultural activities for the community. 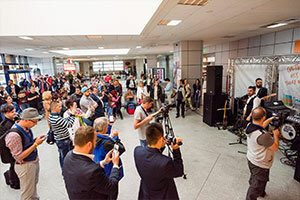 Thus, this program facilitated concerts in the airport area for passengers and the first free library opened in a Romanian airport. 3 new airlines started operations and 16 new routes were inaugurated during 2016, thus Cluj International Airport marked every one of this achievements with events aimed to promote the new airline services available. 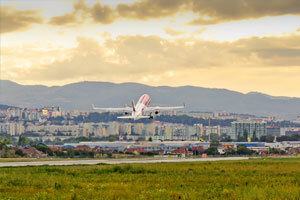 With Cluj-Napoca (324,576 – population as of 2011 census) having been the nearest city within Cluj International Airport’s catchment area, the primary gateway to Transylvania serves a 120-minute catchment area of around 1.8 million people. 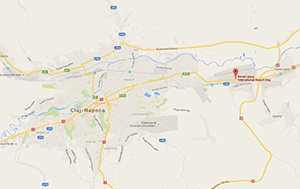 Cluj-Napoca is the nearest major city within the airport’s catchment area. The city is located in the heart of one of the most dynamic regions of the country, Transylvania, while having the advantage of a reliable catchment area. 120-minute catchment area – 1.8 million people. 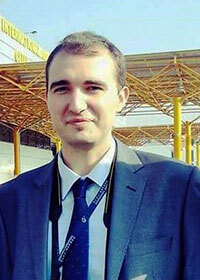 “Cluj-Napoca has good communications with other Romanian cities, being located in the center of the country. Its airport has seen rapid expansion in the last few years, and is now served by international flights from several EU cities, as well as regular domestic flights from Bucharest. Cluj-Napoca is a long established university town, providing a ready source of talented graduates looking for employment opportunities with top companies.” – KPMG Advisory, “Exploring Global Frontiers”, 2009. 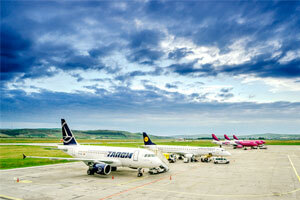 Cluj International Airport is located in close proximity of Tetarom industrial parks. 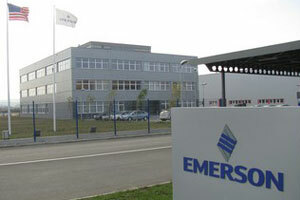 Therefore, a large number of major international companies, including EMERSON, which occupies the entire surface of Tetarom II, may potentially generate freight and air travel-related opportunities. 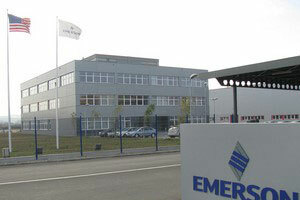 In Cluj County there are more than 3 functional industrial parks which can accommodate both national and international business, while the 4th industrial park is under construction. 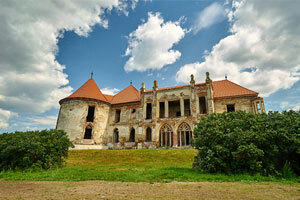 All of these parks are located within 20 km reach from Cluj International Airport. 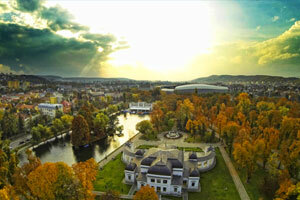 Cluj-Napoca is a major business process outsourcing (BPO) hub, due to the available skilled human resources. 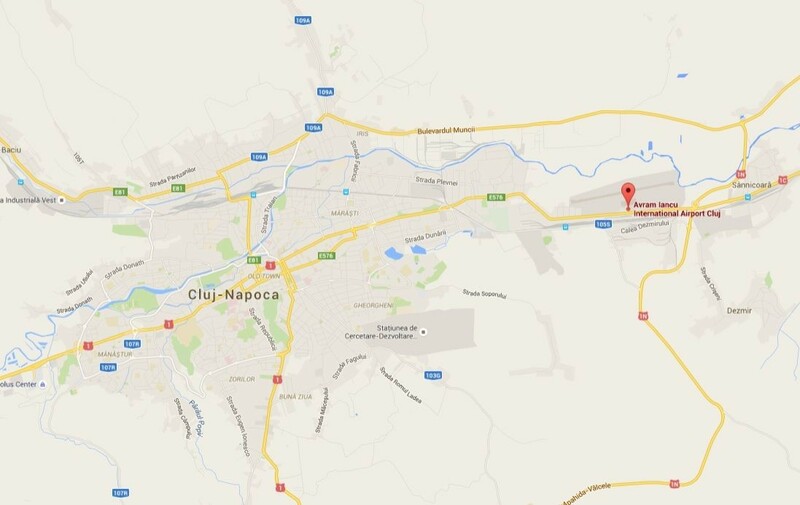 The most frequently mentioned benefits of Cluj-Napoca in international studies and reports include: affordable costs, highly skilled workforce, spoken foreign languages, geographical position as well as time area GMT+2. The main services offered by BPO centres in Cluj-Napoca are: finance and accounting outsourcing, human resources operations outsourcing, process outsourcing, knowledge process outsourcing, contact centre operations and industry-specific business processes. 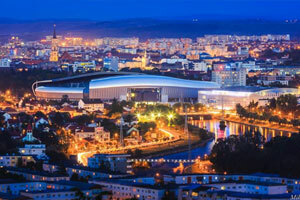 Cluj-Napoca has a significant IT potential also noticed by KPMG Advisory study “Exploring Global Frontiers”, which placed Cluj-Napoca amongst the top 31 destinations for investments in information technology. The study outlines the key aspects that make the city attractive, namely: specialists, costs and geographical position. The invested foreign capital originates from the following countries: Germany (30%), the UK (22%), the USA (15%) and the Netherlands (15%), all these four having been the major investors in the region. In addition, the list consists of: Austria (5%), Finland (4%), France (3%), Sweden (3%), Denmark (2%), Switzerland (2%) and Italy (0.5%). In fact, there are over 44,000 active business operators and more than 3,300 companies with foreign capital in Cluj region. 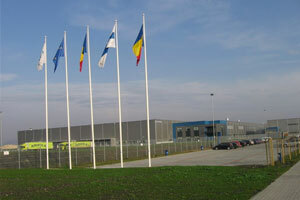 Cluj International Airport provides international air export shipments for companies located in Cluj County and the surrounding areas, through services provided by some of the most important logistics and package delivery companies, such as: UPS, DHL and TNT, which are present on the airport premises. Air traffic related to cargo operations has seen a 39% increase in 2017, when compared to 2016 figures. Noteworthy is the fact that in 2017, the airport has thrice-daily cargo flights operating during the working days, which ensure excellent connectivity with important European freight hubs. 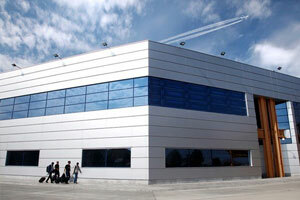 Cluj International Airport has two terminal buildings, namely the Departures terminal and the Arrivals terminal, opened on 19 May 2009 and 15 May 2008 respectively. 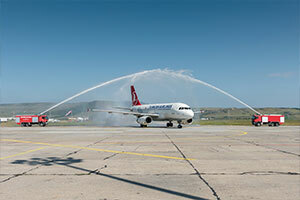 The combined two passenger buildings are capable to accommodate up to 3.5 million passengers per annum. 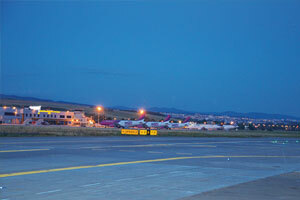 Cluj International Airport is served by the national and county road system. Primary access routes include European road E576. 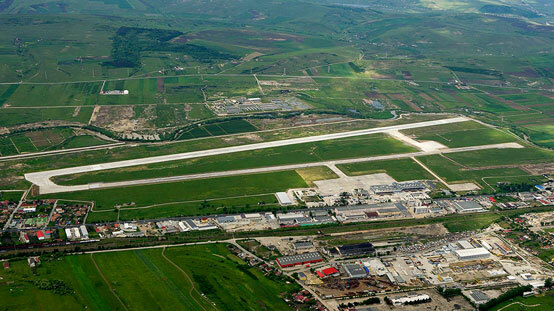 Cluj International Airport’s single runway of 2,040 metres was inaugurated in October 2013 and is capable of handling all popular short and medium-sized aircraft. Pavement classification number (PCN): 114/R/B/W/T. Total processing capacity: 3,600 bags per hour. Operating hours: airport open 24/7. The new runway, classified as 4C category, is capable of handling all popular short and medium-sized aircraft, including A318s, A320s, A321s or 737-800s. The new Golf taxiway offers the possibility to operate larger aircraft that require surfaces with a high pavement classification number.